Order your Vox V847A Wah Pedal from AMS and enjoy 0% Interest Payment Plans, Free Shipping, Free Extended Warranty & 45 Day Money Back Guarantee. 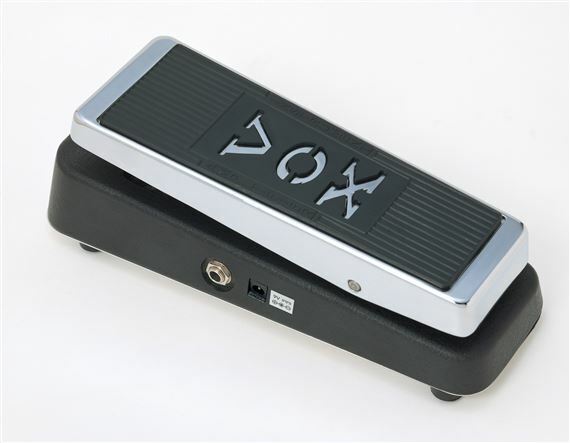 The VOX V847 Wah-Wah pedal is an enhanced version of the most famous guitar effects pedal of all time. Connectors: 1/4-inch INST jack (input), 1/4-inch AMP jack (output), DC input jack. 1/4-inch INST jack (input), 1/4-inch AMP jack (output), DC input jack. It's the best for me! What can ya say, it's a Vox Wah. I've had other Wahs but this Vox Wah nails the Wah sound in my head. Easy to obtain just the right spot for the parked Wah tone. I like the sweep and feel. I get full sweep with ease, and it feels natural to me. I have yet to play with one that will beat it. 100% Top Quality. I have been playing with Vox 847A pedals for years, and they haven't let me down. Yes it seems to be made well for a pedal in this general price range. I doubt that there will be any dependability issues. I bought mine from AMS so I am not worried. I have owned this new model for about 6 months. No problems. I had a mid-90's one that I had to replace the inductor in because it got really scratchy but otherwise was ok but didn't sound as good as this new version and the mid-90's one I had also sucked signal while not in use. This new one Vox is making now is much better in every way. Very much improved over the same model from the 90's etc. Good wah pedal feel. No problems. Sounds like a Vox wah at it's best. When Jimi Hendrix went to London and heard the Vox Wah he switched to it! The option to use a battery OR a standard 9 Volt Boss/barrel type power/plug is a nice improvement.